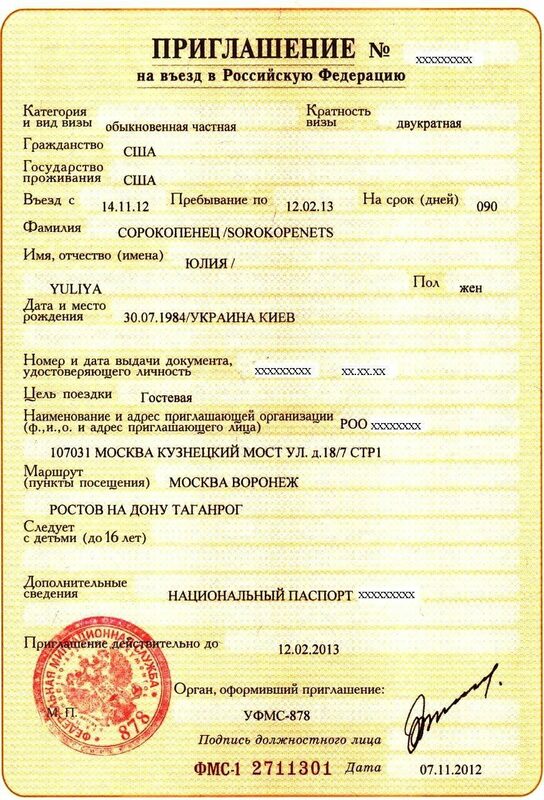 Invitations to foreigners, Visa to Russia is a basis to enter the Russian Federation. 2. Visitor visa - for private visit, to meet with relatives and friends, private purposes etc.) The registration periods are in the table. 3. Touristic visa - (with definite date of arrival and departure. N.B. It’s necessary to book a hotel. WE CAN DO IT. The border cross-in and cross-out within 30 days) The voucher registration is min 10 minutes. The full information on visa categories is here. The invitation has to be formalized at the Federal Migration Service of Russia depending on the aim of visit. Based on the invitation the foreigner can issue the visa. Our professional team can lend a law assistance in documents’ preparation process with further proceeding to state agencies to get the invitation. The strong motivation to enter the country is needed while applying to the Russian visa. The most significant information mentioned in the invitation, this is not only the personal details but also the information on the meeting party, the period and the purpose of visit. The invitation to enter the Russian Federation is formalized strictly in the correspondence to the Russian law. There is no opportunity to change the aim, the type of visit and the amount of entries. The foreign citizen has to leave the country as soon as the term of expiration comes and to receive new invitation from the inviting party. In special cases the visa term can be prolonged, repealed or reestablished by the authorized state agency within the procedure, regulated by the Russian law. It is allowed to prolong the validity term up to 10 days. The invitation formalized with our help will help you to get Russian visa at any consulate as soon as possible.